It is with great sadness that we announce the death of one of the longest-serving members in the band’s history, Michael ‘Mick’ Harford. 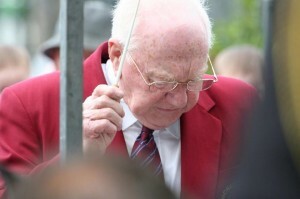 Michael had been a member of the band for well over 60 years, secretary of the band for almost the same length and served as band conductor and musical director from 1994 until his retirement in 2010. His dedicated service and commitment to the band will live long in the memory and he will be sadly missed by all those who knew him.